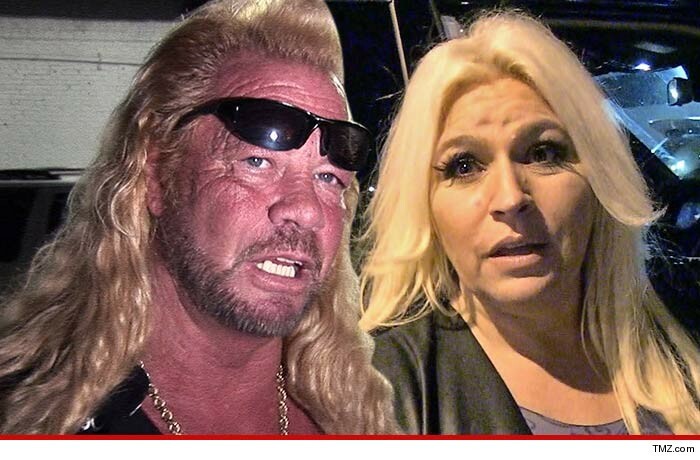 Dog the Bounty Hunter and his wife, Beth, have been accused of ruining a rival bounty hunter's good name ... and the guy wants $30 million from them to make it right. Charles Fisher filed a lawsuit against Dog and Beth, claiming they manipulated his story during an episode of their show, 'On The Hunt,' to make him look bad. Fisher claims the show phonied a phone conversation to make it look like he made off with $20,000 in collateral. He also claims the show -- which described him as a "corrupt bondsman" -- made it seem like he stiffed his insurance company and he used a jail connection to drum up business. To add insult to injury, Fisher said he sold his phone lines to the Chapmans and they only paid him $5k of the $20,000 agreed upon price. Fisher says his name in the bounty hunting biz is forever ruined because of the show and the Chapmans ... thus the $30,000,000 demand.